My mum recently gave me a discount code for feelunique.com, as she had no use for it and thought I might like to have a look. I had never been on their site before, but I was blown away by the choice available at a different range of prices. There are high street brands alongside high end brands, so it's well worth a look on there if you're looking for some new products. 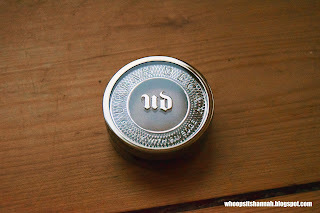 When I was in London a few weeks ago, I had a look in Urban Decay and fell in love with several eyeshadows but decided not to buy while I was there. I couldn't get them out of my head, however, so they were what I went looking for straight away. 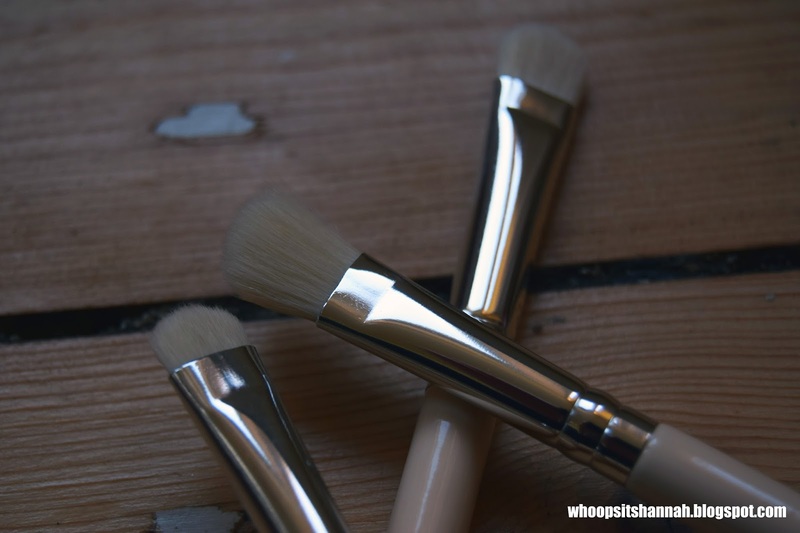 All the shades I went for are neutral browns and bronzes, as these are what I tend to wear on a daily basis. If you're going to spend £14 on a single eyeshadow, make it worth it by going for something you'd get a lot of use out of. 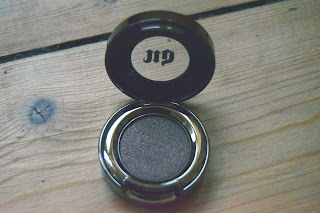 The first eyeshadow I picked up was this shade, 'Cosmic'. 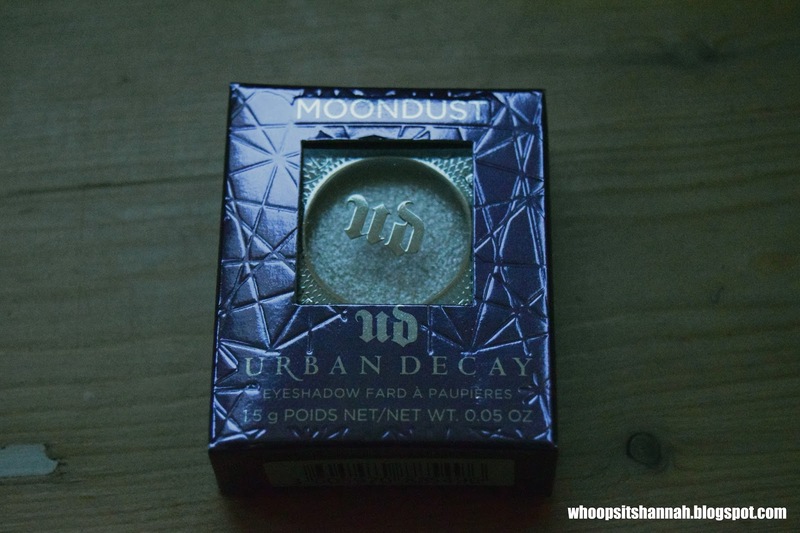 Urban Decay's Moondust eyeshadows are packed with shimmery shades that are insanely sparkly, and this pretty off-white shade is no exception. It is beautifully glittery, and I can see it making a very good highlight in the inner corner of my eyes. 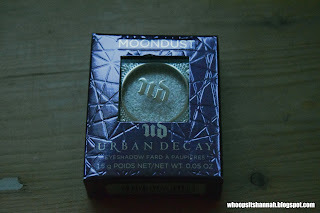 The other shadow I got from the Moondust range is called 'Space Cowboy'. 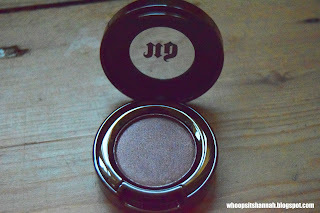 It's a light brown/bronzey shade that I thought would make my blue eyes pop. 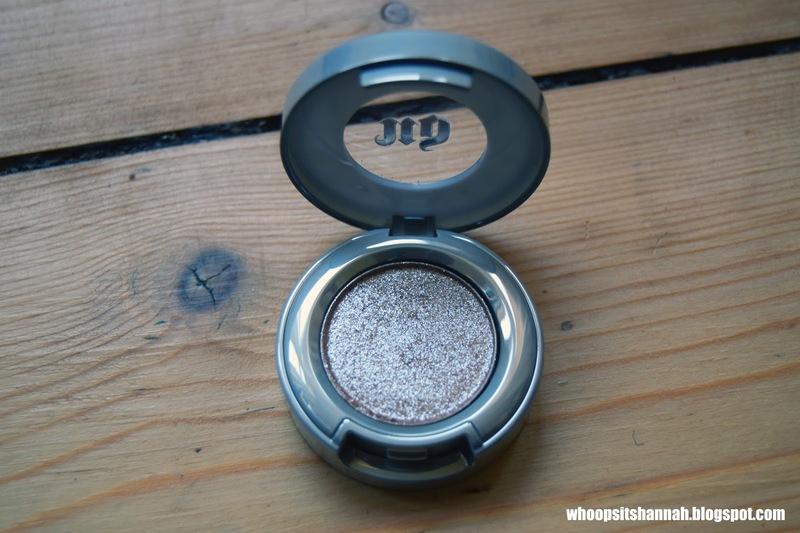 As before, its sparkle is gorgeous, and I think this would look great pretty much all over the lid to draw attention to my eyes perfectly. While the shades I chose from Urban Decay's normal eyeshadow range aren't anywhere near as glittery, they still offer an attractive hint of shimmer. However, if matte shades are your thing, I wouldn't say either of the shades I picked are for you. 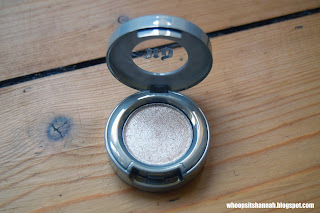 It would be worth having a look instore if possible to find the right shadow for you. 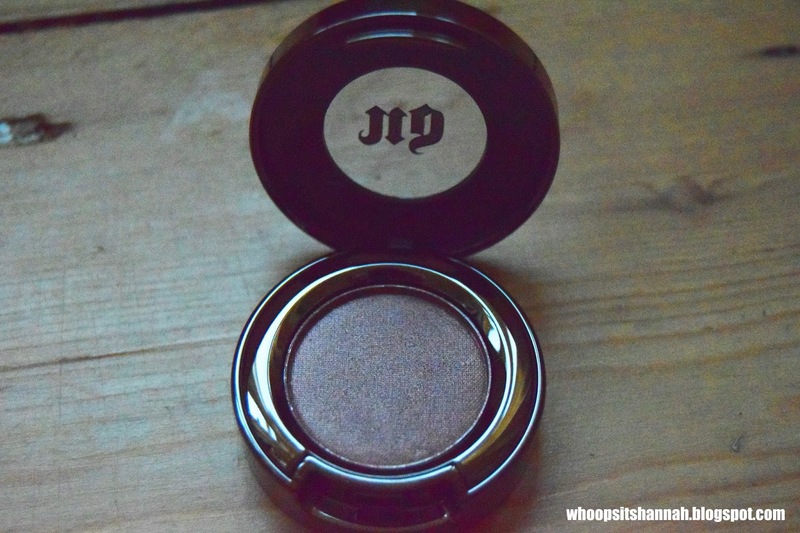 The shade 'Toasted' is a bronze that I can tell will make my eyes pop. From swatches, I can tell you that it is wonderfully pigmented and very easy to blend, which is always a plus! 'Twice Baked' is a lovely dark brown shade, that will be perfect for the outer corner and up into the crease. It could also look pretty along the lash line for definition, or under the eyes to make them really stand out. 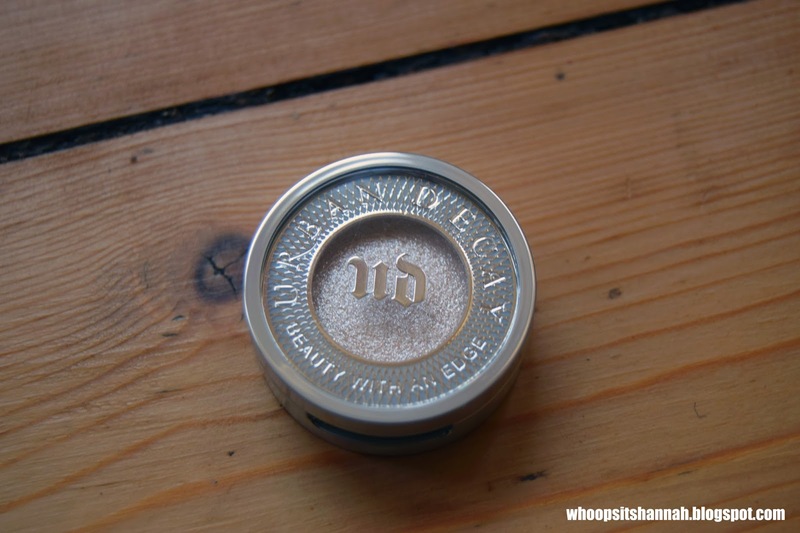 Again, it has a hint of shimmer, which is very pretty. From left to right: 'Toasted', 'Twice Baked', 'Cosmic', 'Space Cowboy'. 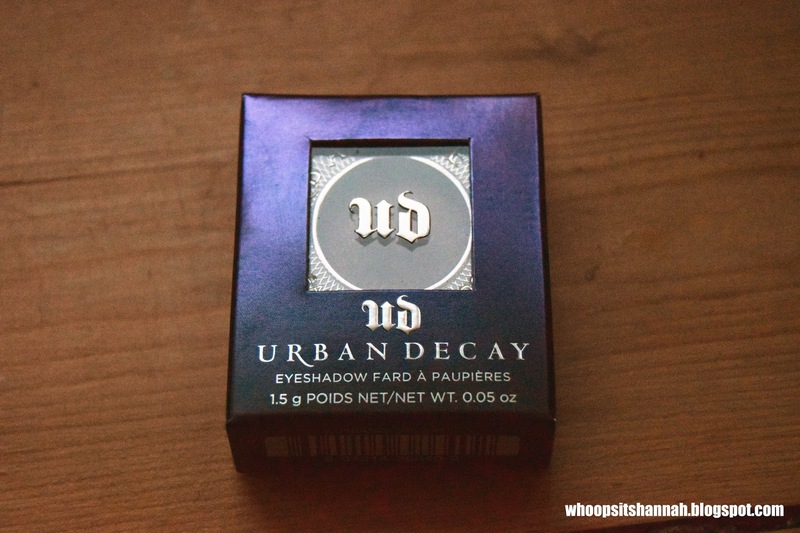 As you can see, the shades are very pigmented. 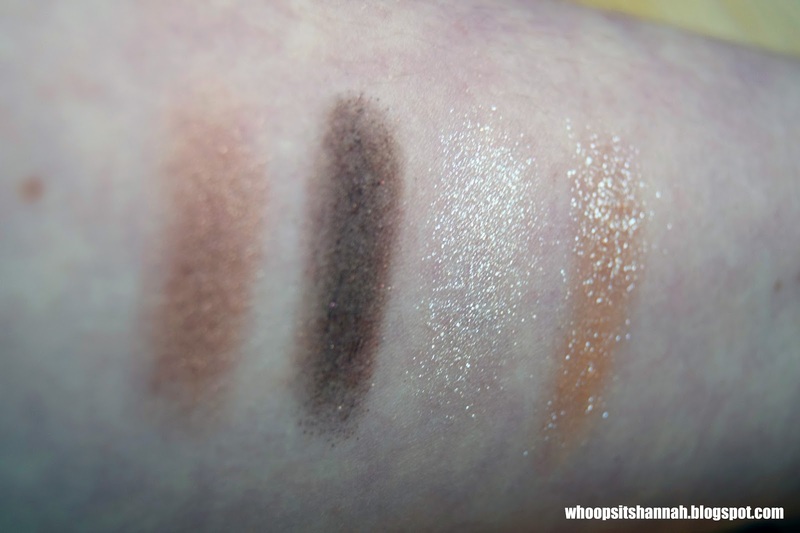 These swatches show just one swipe into the shadow that I then put on my arm with my finger. You can see the difference between the Moondust and normal ranges, as the shimmer is very obvious on the farthest right two. In the light, they are absolutely gorgeous. 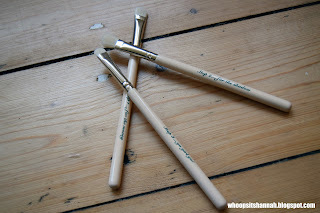 I thought that it would be nice to invest in some new eyeshadow brushes to apply my new shadows, and had a look on the site at the brushes on offer. 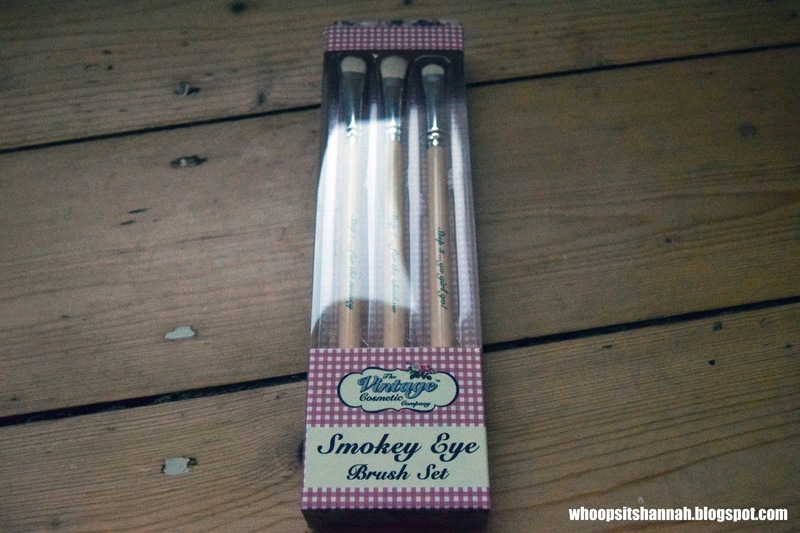 I decided this set (The Vintage Company Smokey Eye brush set) would be best for me as it came with three different brushes for under seventeen pounds, which isn't too bad considering the price of brushes. The brushes are for applying shadow all over, for getting into smaller places around the eye and finally for blending it all together. In the past, I have only ever used one brush for all of these jobs, so I'll be interested in seeing what difference using three may or may not make. The hairs in the bristles are synthetic, if using cruelty free products is important to you. I would definitely order from Feel Unique again. 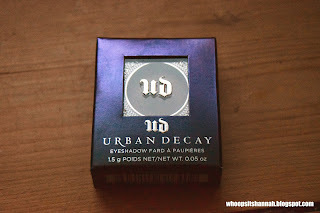 Their delivery was very fast and all my products came in good condition. 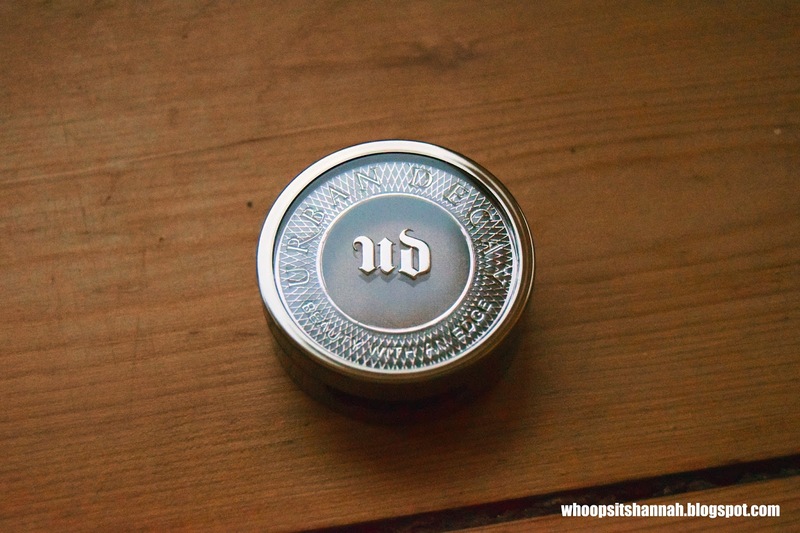 They use a lot of packaging, but if that's to ensure the safety of my expensive eyeshadows I can't complain! Have you used Feel Unique before? What did you think?